Hoping to rub elbows at lunch with some of the city’s music executives? Edgehill in the west end is the official home to world-renowned music row, and could be your next home as well. Though housing stock is limited, this small neighborhood does offer a few streets of charming early century bungalows and a handful of scattered new build craftsman styles as well. If you’re looking to sample some authentic Nashville flavor, the shopping center at the corner of 15th and Edgefield is sure to please with its adorable boutiques and tasty eateries. With easy Highway access and close proximity to Thompson St, you’re also within minutes from big name convenience shopping and downtown as well. Worried about noise from music row? Disguised in tree-lined streets, quiet sidewalks, and sprawling front porches the recording studios, label offices, and PRO buildings look so nondescript you’d even hardly this neighborhood was home to music row if not for the sign at one end. Hoping to rub elbows at lunch with some of the city’s music executives? 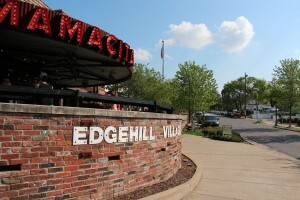 Edgehill in the west end is the official home to world-renowned music row, and could be your next home as well. Though housing stock is limited, this small neighborhood does offer a few streets of charming early century bungalows and a handful of scattered new build craftsman styles as well. If you’re looking to sample some authentic Nashville flavor, the shopping center at the corner of 15th and Edgefield is sure to please with its adorable boutiques and tasty eateries. With easy Highway access and close proximity to Thompson St, you’re also within minutes from big name convenience shopping and downtown as well. Worried about noise from music row? Disguised in tree-lined streets, quiet sidewalks, and sprawling front porches the recording studios, label offices, and PRO buildings look so nondescript you’d even hardly this neighborhood was home to music row if not for the sign at one end.